3.If the GPS Kids watch didn't work/ device offline,please check if you choose the correct area when you register the APP firstly.In US need choose "North America"
GPS + AGPS + LBS (Base Station Location) ? 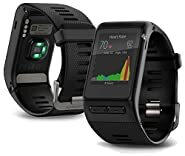 : kids smart watch, triple mode positioning means double safety for children, Realize all-day real-time location tracking, more accurate positioning, children just click SOS to connect the phone, At the same time, parents can check the location anytime, anywhere by SMS, website, IOS or Android APP. 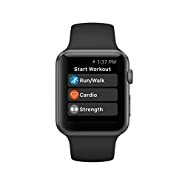 A VARIETY OF FUNCTIONS : smart watch phone, two-way call, SOS emergency call, GPS + LBS positioning, activity tracking, voice chat, anti loss, stopwatch, night flashlight, remote voice monitoring, remote camera, Parents can control and set the watch through the application. SOS ENERGENCY CALL: The phone smart watch can be set to three phone numbers,press and hold the SOS button for 3 seconds when in an emergency. ,it will ring three numbers. When no one answers, dial two rounds until you answer it. Watches can be sent text messages to the guardian number, at the same time APP will send an alarm notification.This is so important in an emergency situation. CLASSES DO NOT DISTURB MODE : parents can be set inside the app inside the anti-busting time, watch lock screen in this period of time, the child banned use, isolated calls. Maintain normal class order. TIPS : Watch as an unlocked GSM mobile phone, support micro SIM card, we only provide Smartwatch, but no SIM card, please purchase additional GSM network SIM card, we recommend SPEEDTALK SIM (belonging to T-mobile network), watch SIM card needs to be enabled GPRS function and caller ID function, must be compatible with 2g of data traffic, watches currently only use 2g of data traffic.